photo-eye Gallery Photographer's Showcase: Alan Friedman's Into the Light photo-eye Gallery is pleased to announce a new portfolio from Alan Friedman, Into the Light. photo-eye Gallery is pleased to announce the release of new images from Alan Friedman, Into the Light. We featured Friedman's work in our group exhibition, SOLAR, which ran in the Fall of 2012 at photo-eye Gallery. Gallery Director Anne Kelly interviewed Friedman about his process for our blog, which you can read here. 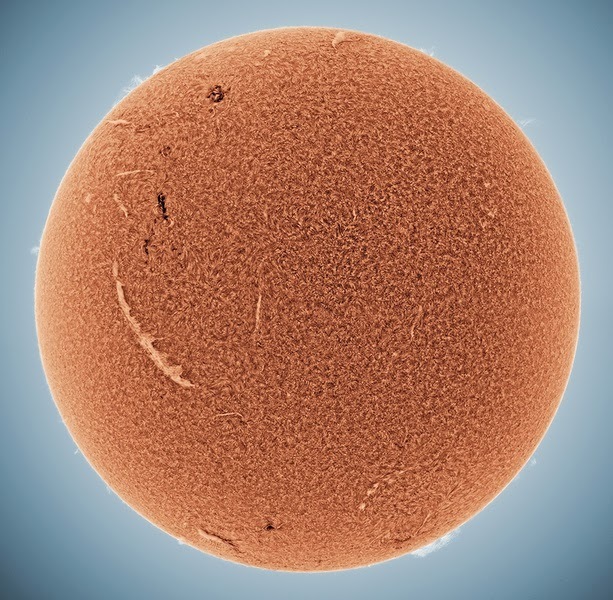 Alan Friedman's photographs of the sun have garnered quite a bit of attention. InsideHook ran a story about the exquisite sun photographs and Friedman spoke at TEDxBuffalo back in late 2012 about his work. 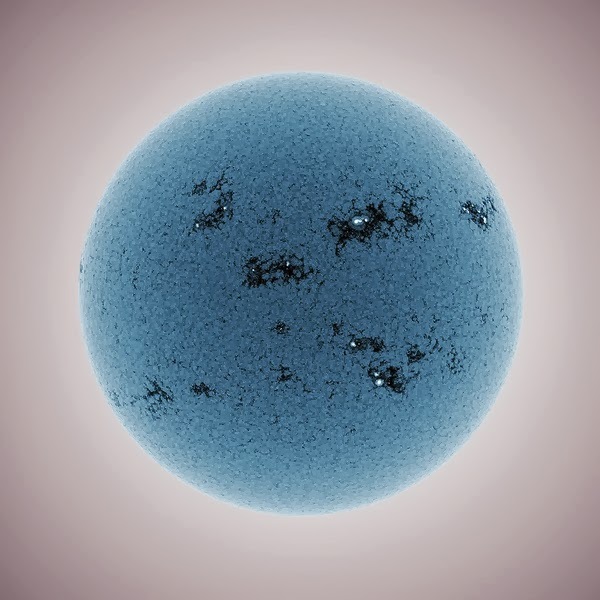 "Shooting the sun involves some planning and special equipment — a telescope, a safe filter that only allows a tiny portion of the sun's energy to reach the camera. The cameras I use are very different too. Taking close-up portraits of a very distant subject through the earth's atmosphere is a special challenge. Heat currents and high level atmospheric turbulence distort the view like a stone thrown into a peaceful pond. To inquire about purchasing a print or for more information, please contact the gallery at 505-988-5152 ext. 202 or gallery@photoeye.com.